﻿ Wayland. 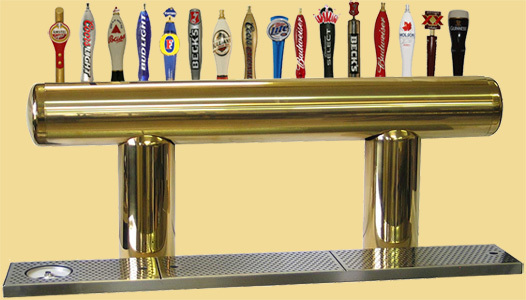 Draft Beer Towers for bars. 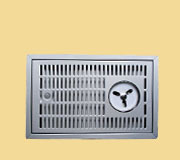 We are a family company and have been working at the same location with the same materials for the past 83 years. 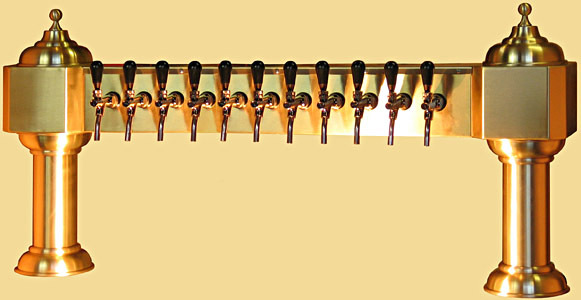 Our beer towers are engineered with the highest quality materials: AISI304 stainless steel, used right down to the screws and nuts, high quality German copper and brass. We work with you, and can make a custom tower to meet exactly what you need. Cooling systems are an indispensable part to serving quality beer. A cold beer is a good beer. Our glycol cooling system is the envy of the industry with each piece thought out and designed to bring optimum performance and unsurpassed durability. 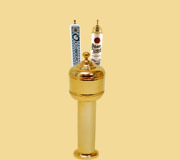 Smaller towers are also suitable for homebars and kegerators. When finished, beer towers are sent, signed and delivered straight to your door within 3 work days. 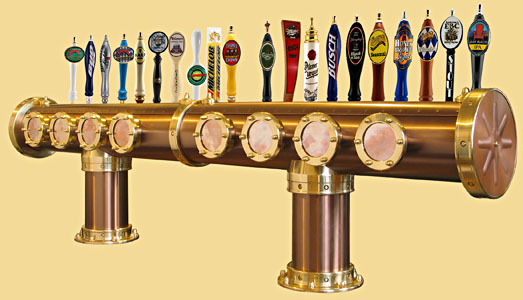 Custom draft beer towers pouring cold beer, every time, forever. 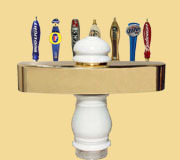 Elegant, functional Tee shaped modern style beer towers. Materials Stainless Steel, Brass & Copper and PVD. 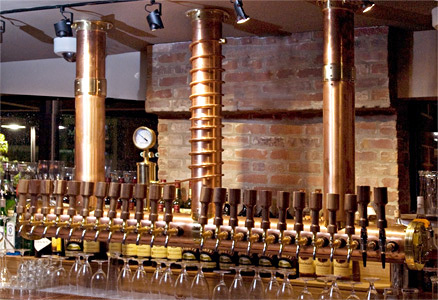 Old copper & shiny brass custom made beer towers straight from Victorian era. Unlimited configurations possible. 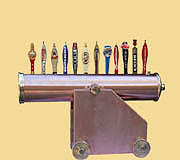 Custom draft beer towers: Old Dutch, Pirate's Cannon, Brewing Kettle etc. Absolutely No limits in this category! 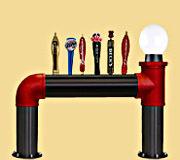 Custom black iron pipe industrial beeer towers. Limitless custom shapes are possible. 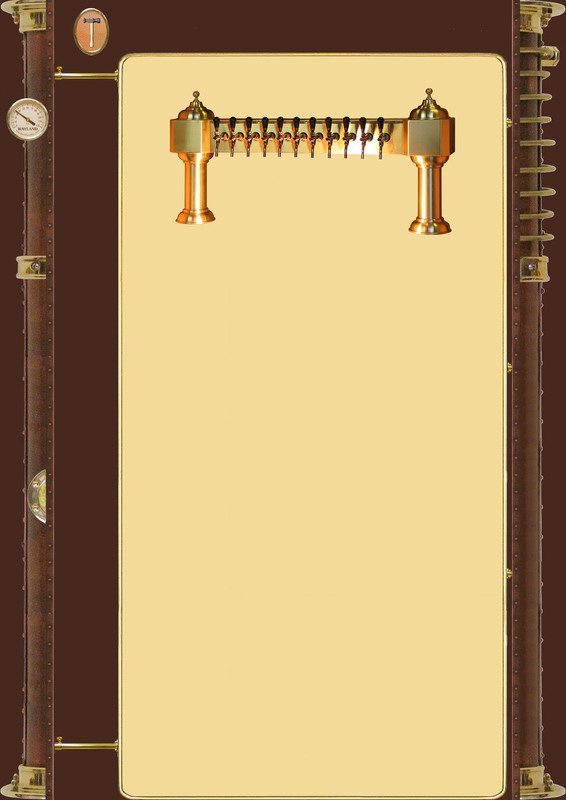 Classic old world style. Combines SSteel or brass brass with strong porcelain for a timeless durability. Small in size and exquisite in finish this small jewels enrich any bar. 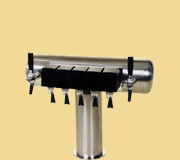 From 1 - 4 faucets. 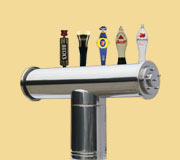 Combining beer, soda, wine dispensing on sigle tower to achieve unparaleled flexibility of design. 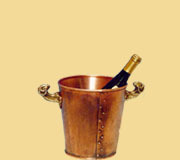 Celtic, Roman artifacts in timeless beauty... Classic copper, brass and bronze castings. 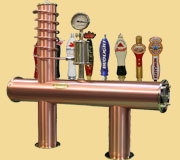 Draft beer drip trays for your kegerator or bar. Sandard and custom sizes. Stainless, copper, brass. 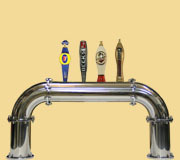 Tubular style beer towers. SSteel polished or brushed, PVD gold and old copper finish.